U2 is continuing to reissue its back catalog on vinyl. Island Records, Interscope and UMC have announced a remastered and 180-gram vinyl reissue of The Best of 1990-2000 on double black vinyl for September 28th. The release will follow that of Achtung Baby (1991), Zooropa (1993) and The Best of 1980-1990 (1998) – all also remastered and pressed on 180-g double LP black vinyl – that were released today (Fri, July 27th). 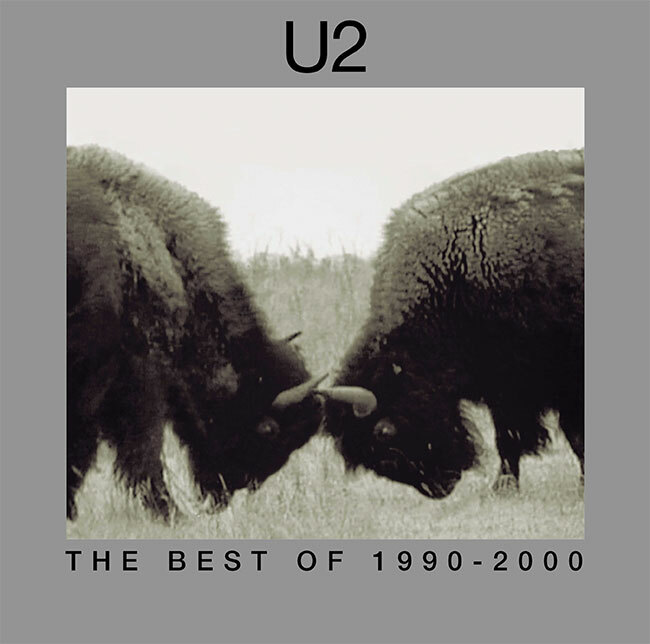 Originally released in November 2002, The Best of 1990-2000 was the second compilation release from U2, the follow up to The Best of 1980-1990. It contained two newly recorded tracks – “Electrical Storm” and “The Hands That Built America” – the latter written for and features on the soundtrack to the 2002 film Gangs Of New York. A selection of tracks were remixed by Mike Hedges for inclusion on the 2002 compilation. The album has now being fully remastered for the double vinyl reissue and will include a download card.